Welcome to a magical world surrounded by the sea, protected by the moai, the giant watcher heads who guard the inhabitants of Rapa Nui. 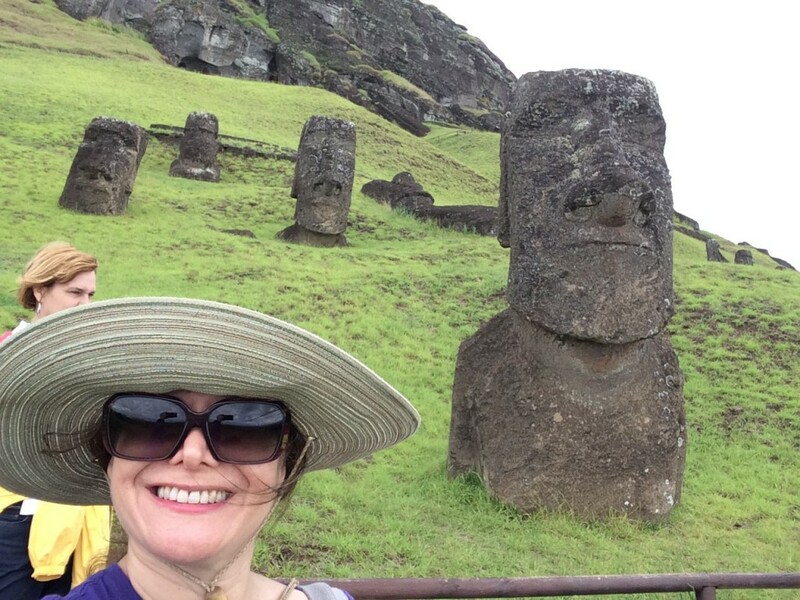 I visited Easter Island as part of my bucket list and I am so grateful that I did. It was a special time of oneness with nature and developing new friendships with native Rapa Nui islanders and travelers from around the globe. This exotic destination attracts quite a mix of travelers! Rapa Nui is the native name for Easter Island in the language of its people, (also called the Rapa Nui). For all the vegan travel buffs reading this: I’m sharing a few of my tips to help you plan a trip to Easter Island with plenty of pesos and vegan food. 1. 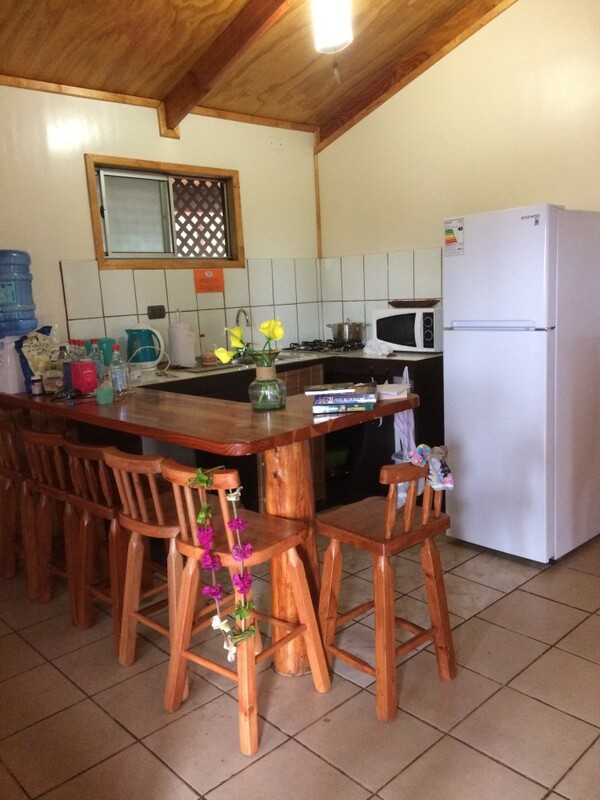 It helps to book accommodations with a kitchen. You can find vegan options on the island, including scrupmtuous vegan ice cream at Mikafe in Hanga Roa town and some very yummy empanadas Anakena beach, but I mostly found liquados and fries. 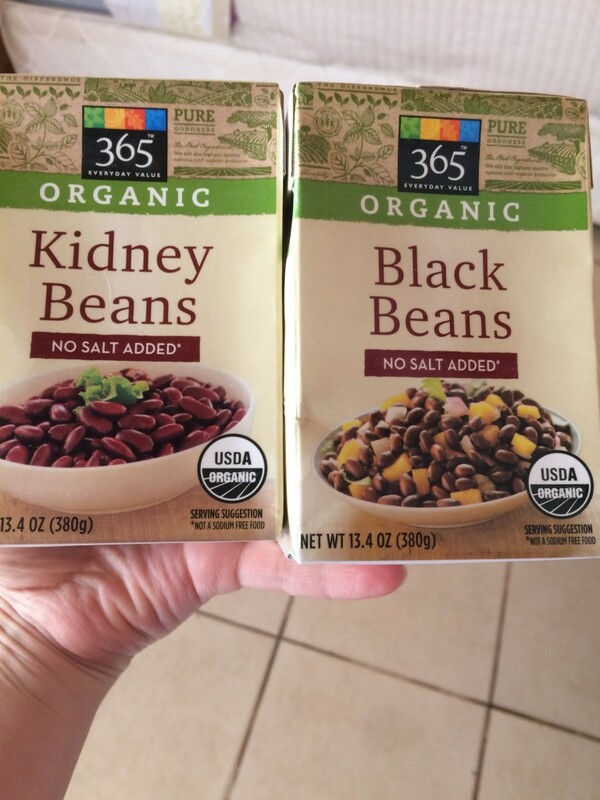 I had planned to stay in a place with a kitchen, and I brought pre-cooked beans in aseptic packaging and lentils, rice and grains to cook. I added in bouillon cubes as a soup base plus veggies I purchased in the open air market and fresh avocados as garnish. I also brought with me some shelf stable cartons of plant milk for tea and coffee. I was VERY glad I brought these. 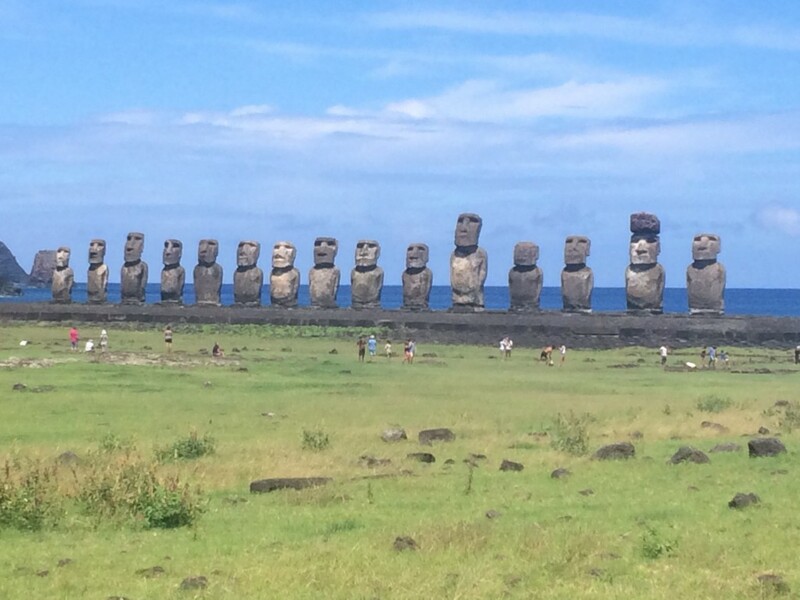 Easter Island is a 5+ plus flight from Santiago, mainland Chile. Sometimes supplies are short. I did not see plant milks at the local grocery store. Note: I stayed at Cabanas Ngahu. 2. Many places, including hotels, don’t accept credit cards; they work on a pure cash basis in Chilean Pesos or USD. Hotels can be expensive and the ATM machines will only give you about $200 USD per transaction. The Chilean Bank ATM charged, I believe, $7 or $8 USD with each withdrawl, plus my own bank fees for a foreign ATM. It is not possible to withdraw larger amounts of cash at a time to minimize the fees. When I return to Easter Island some day, (because I know I will), I will look into the exchange rate and explore getting Chilean pesos in advance. It could be a better way to handle things, especially for larger purchases like the hotel room. If you know your hotel won’t accept credit cards, getting cash in advance is something to consider. The official languages of Rapa Nui (Easter Island) are the Rapa Nui language, which is a Polynesian language, and Spanish. (Easter Island is a part of Chile.) Best to know some Spanish like: please, thank you, how do I?, where is the? and know how to explain vegan food in Spanish. It’s always an action of respect to learn a few words of the host country’s language, but you will also find that many people don’t speak English and communicating what you eat, (and what you don’t eat), is best done in Spanish. I am vegan, (strict vegetarian), I don’t eat anything that contains egg, milk, butter or fish. 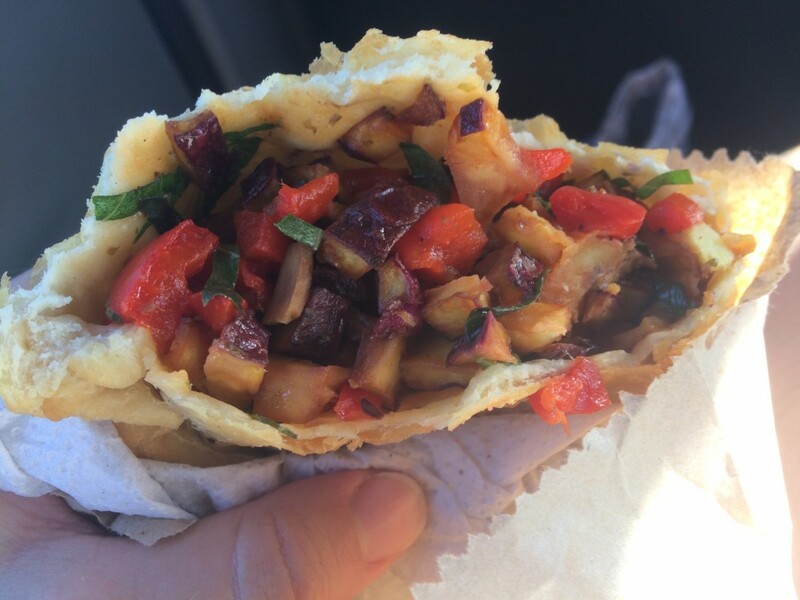 Soy vegan/a (mi dieta es vegetariana estricta), no como nada que tenga huevo, leche, mantequilla ni pescado. Easter Island can be very windy, especially when you’re up high exploring Orongo (the crater) and the Rano Raraku (the quarry). Remember, there are no trees on the island. If it’s not a cloudy day, the sun is STRONG. Keep your skin protected with a chin-strap hat. Trust me, you’ll be really grateful that you did. 5. Bring mosquito repellent and a strong umbrella: you’ll need one or the other. When it rains, it often pours, literally, and I mean buckets. I had 4 days of monsoon type rain. I was also very happy to have a waterproof jacket with a hood in my suitcase. In the aftermath of the rains, if the winds are still, the mosquitoes may come. I recommend to bring repellent that’s safe for the sea and all of its creatures. And some anti-itch cream… just in case. 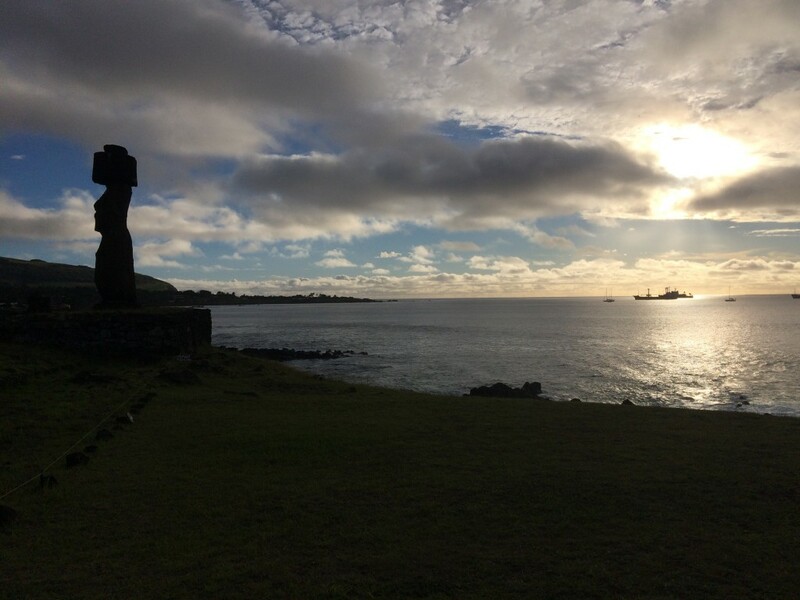 I hope you enjoy your trip to Rapa Nui!